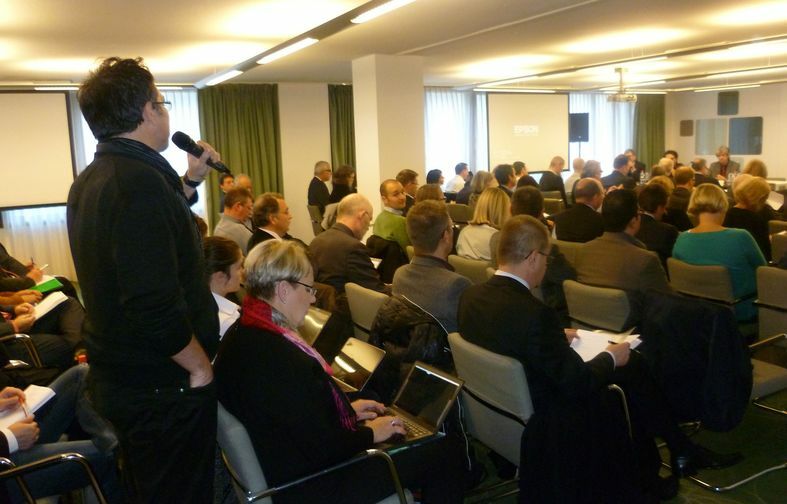 With a full room and very active discussions, the EPBD CA Stakeholders meeting “Implementation of the EPBD in Europe | Training and NZEB issues”, held in hotel Bloom in Brussels last Thursday 13 November 2014, is considered a major success. The event targeted representatives from the public sector, NGOs, the building industry, financing sector stakeholders, as well as the coordinators of Intelligent Energy Europe Projects, aiming to exchange views and identify directions for future work in the areas of training of experts and Nearly Zero-Energy Buildings. The presentations can be downloaded from the programme below (Right click on the PDF links and Save As…).